I've often wondered why Christ chose to appear to women first after His resurrection. Was there something special about the women? Was there something symbolic about it? This Easter I poured over all the scriptures in the Gospels that talked about the resurrection. 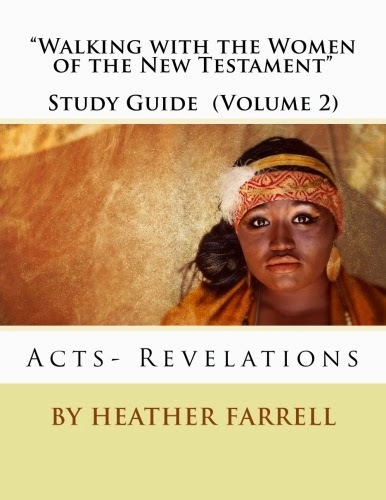 As I was reading I realized something I hadn't thought of before-- that the reason these women were privileged to be the first witnesses of Christ's resurrection was because they never left him. Christ's women followers were some of the few disciples who didn't leave Christ during His great trial and they were with Him at the cross when some of his other disciples had betrayed or deserted Him. Even after Christ's dead body was brought down from the cross and laid in the tomb they never left him. 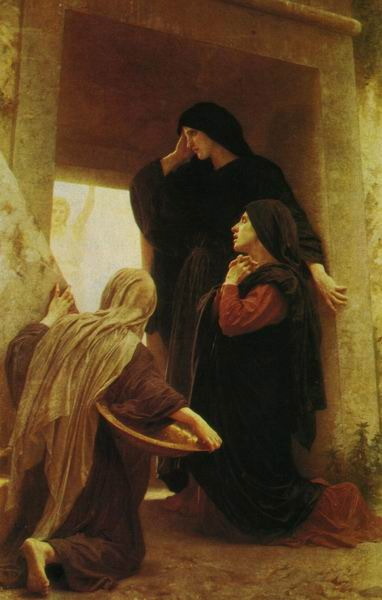 Mary Magdalene and the "other" Mary actually sat guard in front of Christ's tomb for as long as they could without breaking the sabbath (Matt 27: 60-61). It was only later that the Pharisees asked to have a Roman solider placed outside and the tomb sealed with a large stone so that Christ's disciples wouldn't try to steal His body (Matt. 27: 62-66). Not only did these women never desert their Savior but they never stopped serving Him, even in death. 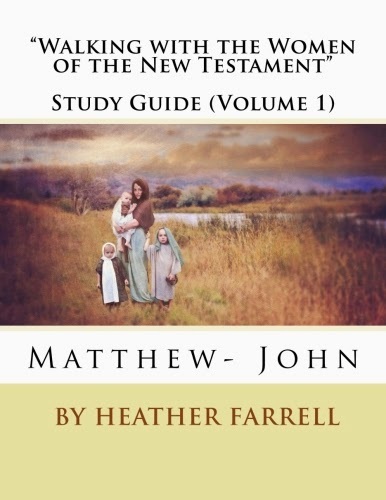 The scriptures tell us that on the morning after the Sabbath, as early as they could possibly have come with out breaking the sabbath, Mary Magdalene, Mary the mother of James the lesser and Joses (also called "the other Mary"), Joanna, Salome the wife of Zebedee and the mother of the apostles James and John, and "other women" who followed Jesus out of Galilee came with spices to anoint and prepare Christ's body for burial. 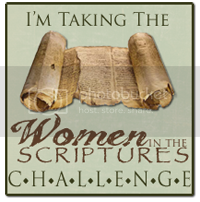 This task of anointing the body was just another of the "woman's tasks" like cooking, cleaning, washing, and sewing, that these women were accustomed to doing, and which I imagine they had done for Jesus many times during His ministry. 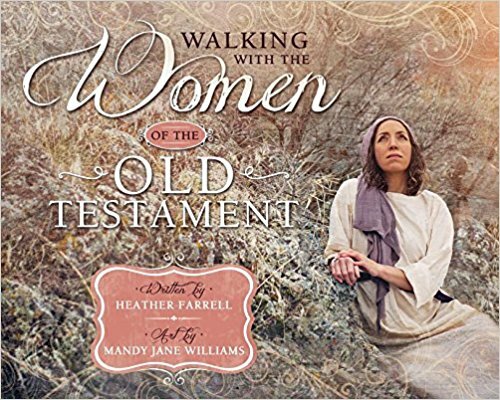 I think it is significant that because these women were doing a "woman's task", taking care of Jesus' s physical needs, that they got one of the greatest privileges and blessings of all of Christ's disciples-- to be the first witnesses of His resurrection. I think that this shows that Christ acknowledged the faithful and loving service that these women had given him throughout His mortal life, and realized that what women do to sustain and provide physical life is important and valued in the eyes of God. He knew that their willingness to take care of his His physical body, even after He was dead, was a sign of their great love and devotion and so he blessed and rewarded them for it. "Ye seek Jesus of Nazareth, which was crucified: he is risen; he is not here: behold the place where they laid him. But go your way, tell his disciples and Peter that he goeth before you into Galilee: there shall ye see him as he said unto you." (Mark 16:6-7). "Be not afraid: go tell my brethren that they go into Galilee, and there shall they see me." (Matt. 28:9-10). From that moment on, even when others (like some of the apostles) questioned their testimonies, they never doubted what they had seen and felt but bore continuous witness that they had seen the empty tomb, that they had seen an angel and they had touched and seen the Resurrected Savior. I believe this is why these women were among the most privileged of all Christ's disciples because even if the face of hardship their testimonies of Him never faltered, they never stopped bearing witness of His divinity, and they never deserted the Savior. I have always loved this post. thanks for reposting it, it's wonderful to remember this aspect along with everything else at Easter time. I was thinking/reading about this same story today and realized that just because there was an organized church with organized apostles, that that didn't take precedence in whom Jesus saw. Just thought it was interesting. I have been thinking about this a lot, thanks for sharing your rich study. Christ truly was one of the greatest champions of women. 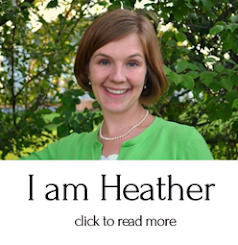 Love you so much, Heather! 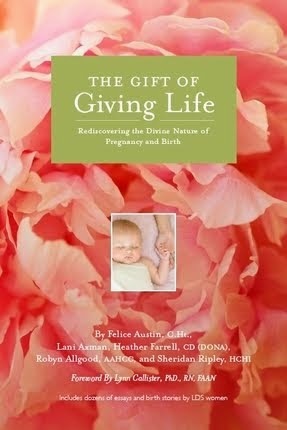 You are doing such a great work for women with this blog. Hugs and Happy Easter! I have a request, if that's ok. I'm really curious about Mary Magdalene, and I noticed you haven't posted on her yet. I have no idea why people seem to have this idea of her that she was a prostitute - is there anything anywhere in the scriptures to support that? If there is, I don't remember reading it! I'm just curious how she came to be associated with that reputation and what evidence there is (or isn't) in the scriptures to support it or not. Thank you for such a wonderful blog; I love reading it! 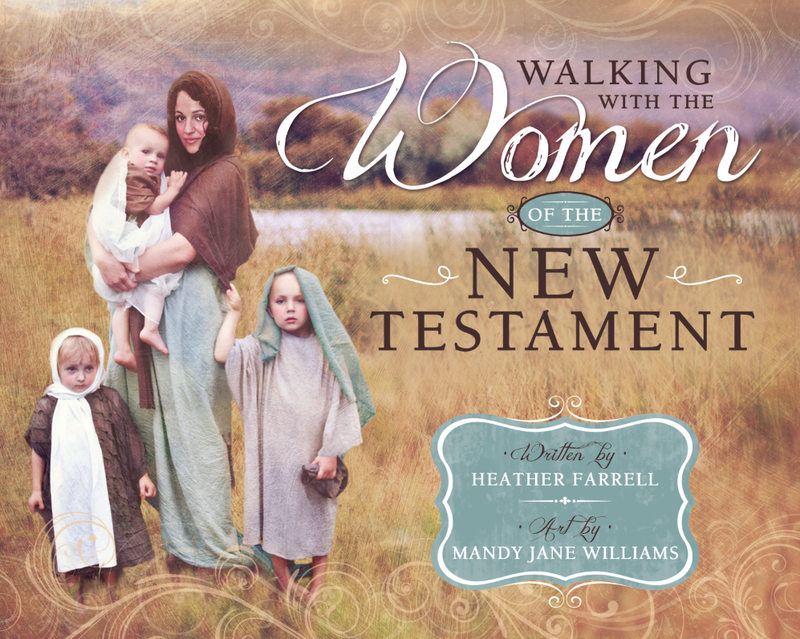 Loved reading your blog post on the Woman who followed Christ. It is most interesting that it was Mary, that saw him first and she was not allowed to touch him because he had not yet ascended to his brother. There is important things to ponder on this moment in time.